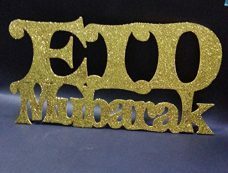 SET OF 3 CANDLES. With your order, you'll get a variety pack of 4-inch, 5-inch, and 6-inch tall candles, all 3" in diameter - great for creating a warm, relaxing atmosphere. REALISTIC FLICKERING LIGHTS. 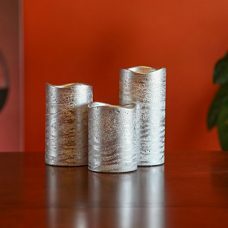 Gentle flickering replicates the relaxing flickering of real candles. EASY TO ACTIVATE WITH A REMOTE AND TIMER. 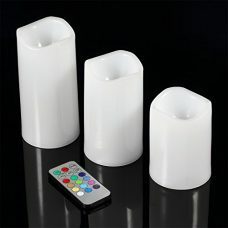 candles can be turned ON or OFF with the included remote control. And you can set them to work in TIMER mode for 4 or 8 hours. Or, use in manual mode, and turn on and off as needed. 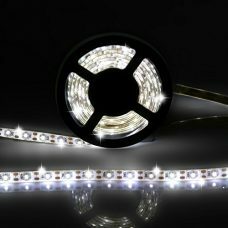 High quality SMD 5050 LEDs, ultra bright, Luminous Flux, up to 100LM. Powered by 3 AA battery (not included), very convenient to use. With a 3M self adhesive backing tape for easy application to almost any clean surface. 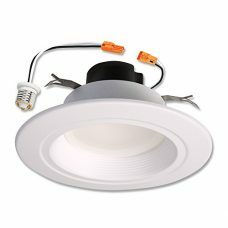 Modes, speed, brightness and ON/FF can be adjusted by control box, up to 20 flashing modes is available, meet your different needs. (Note: The mode, speed and brightness adjustment is just available for RGB color strip, Cool/Warm color just has ON/OFF control.) Flexible ribbon for curving around bends, cuttable every 1 LEDs per practical requirement(RGB strip is cuttable every 3 LEDs). Environment friendly, no radiation, no flicker, no harm to human eyes. Power saving, no heat, low power consumption, stable performance. 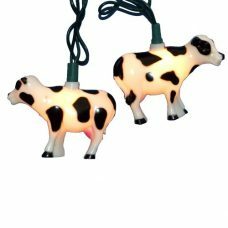 These lamps will light up your landscape or pathway which will change the sight you have on your garden on your evening. 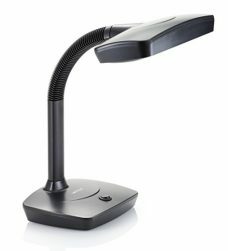 The 2 LEDs inside the lamp offer a warm and bright lighting. Moreover it has also been designed with a stake for an easy grounding and mounting. 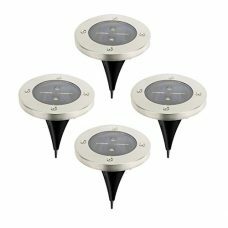 The Solar Powered Ground Light is environmental friendly with the solar panel technology, in 8 hours of sunlight your light will be fully charge for your evening. No setup required: PRE-assembled and workable straight out of the box, ready to use. 1/2" inch thick highly rugged and flexible crystal clear PVC thermoplastic tubing. 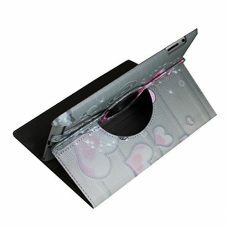 Easily bends into any shape to fit into any area. 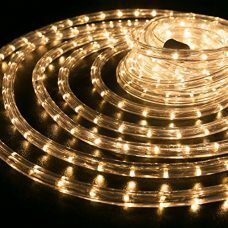 Rope light section is rated IP65, made to stand the severe weathers outdoors and also indoors.